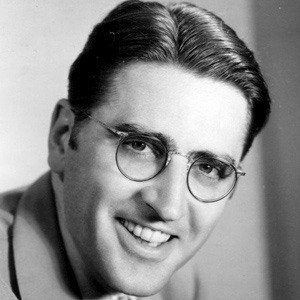 Best known for writing the music and lyrics to The Music Man, the popular Broadway musical. He attended New York's Institute of Musical Art, later known as The Juilliard School. He composed for such films as The Great Dictator starring Charlie Chaplin and The Little Foxes directed by William Wyler. He was inducted into the Songwriters Hall of Fame in 1982. He married third wife Rosemary Sullivan in 1968. He wrote the song It's Beginning to Look a Lot Like Christmas, which was recorded by Bing Crosby among others.